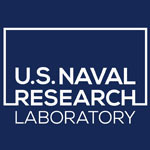 The Naval Research Laboratory has partnered with incubator network 1776 in a move to encourage collaborative exchange between NRL scientists and entrepreneurs. “The current pilot program will last for one year and will provide a new perspective of the innovation ecosystem and more opportunities for collaborative research, and other partnerships, that we may not have otherwise,” said Amanda Horansky McKinney, head of NRL's Technology Transfer Office. Four NRL researchers presented concepts to public and private research-and-development teams during 1776’s Innovation Discovery Event held in November. The startup network established their first two campuses in the greater Washington metropolitan area in order to forge connections with NRL and other government entities.